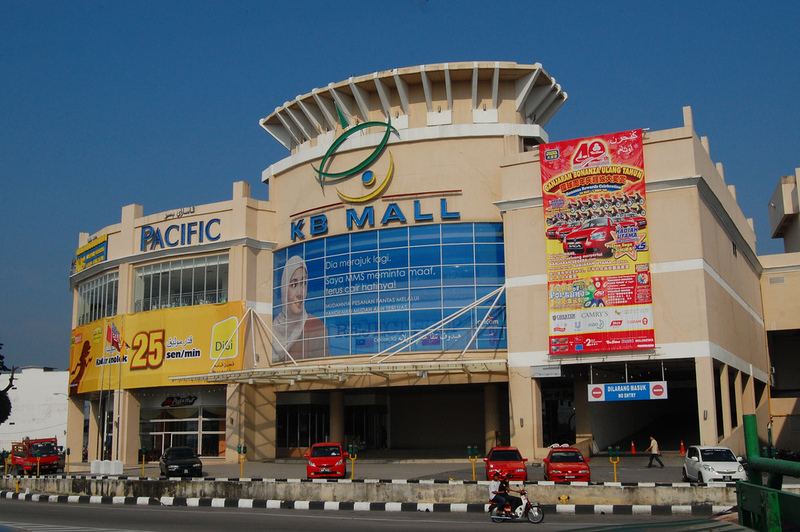 Unprecedented Kelantan: From KB Mall to KB Fall..
KB Mall at its coolest day.. The tremor of Sunday evening in Kota Bharu’s most famous and Mid Valley-alike mall. 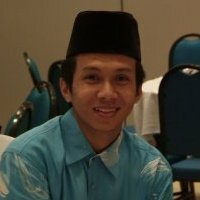 The widespread of ” KB Moe ghutuh” SMS can be ‘detected’ as far as Bangi residents. First, I thought it was another Sultan Mizan Stadium showdown, but an hour later, it was car mishap and not because of building-factor. It was freak accident in a deadly incident occurred chaotic in front of Jalan Hamzah intersection of Jalan Sultan Ibrahim seeming massive traffic congestion recorded. It was, neither earthquake nor TNT explosive instead of amateur woman driver who, maybe, newly-certified P license. I was grinned. 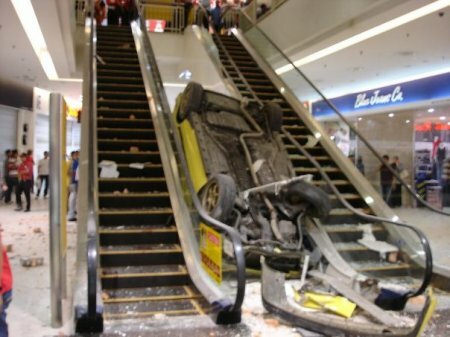 The woman driver had lost control of the car in an attempt to jump-start the engine (Ford Laser) at the upper level car park and rammed into the concrete wall before plunging down three stories onto an escalator. The engine suddenly started causing the car to lunge forward and smash into the retaining wall, which also served as the building’s ventilation airway. 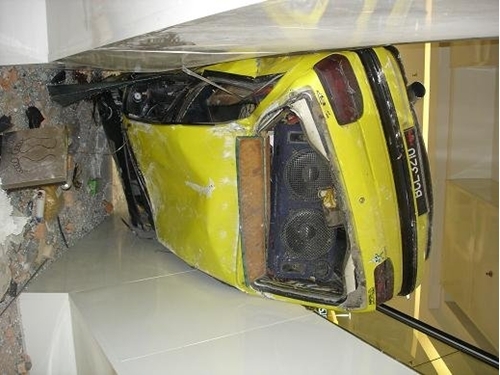 The car plunged from the third-floor car park of KB Mall shopping complex and fell into the shopping concourse. 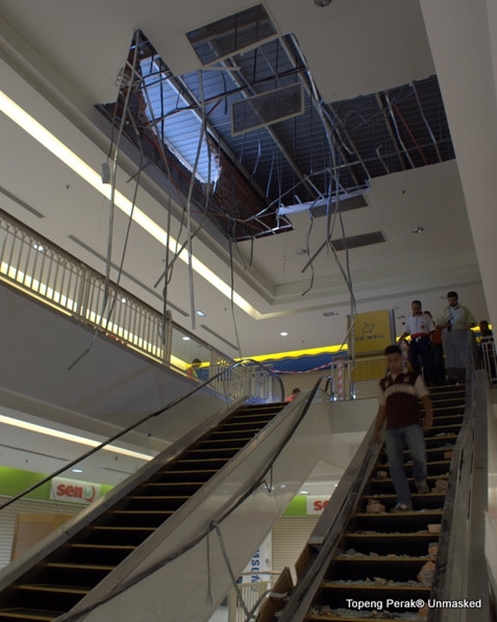 The freak accident occurred at 4.45pm when the mall in Jalan Hamzah was jammed-packed with weekend patrons. This unprecedented incident happened in KB Mall since its opened 5 years ago. The deadly incident causing two nursing students from a nearby private college (Masterskill) here were killed and four others suffers major injured. Hundreds of shoppers were shocked over the freak accident in the five-year-old mall. 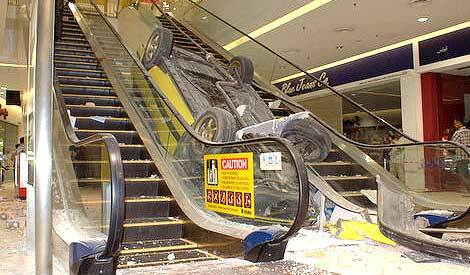 As a consequences, the wrecked car lying in between two escalators after the fall in a mall like a sandwiched.Now…. 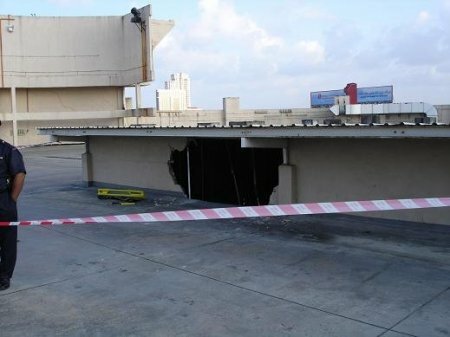 It started at the parking lot at the roof of KB Mall..
Then, erupting the concrete structure on the wall.. The damages causing death to the passers-by.. The cars totally out of control..